Rexing is a type of backwards skating that utilizes a sequence of step patterns such as figure 8, duck walk, or grapevine. Scissors is a way of moving across the rink on two feet by pushing the feet outwards from a 90 degree angle and then pulling them together again. Dipping is bending your knees and putting yourself in a squatting position while skating. A spin is a skating move where you bend your knees, keeping your feet shoulder-width apart, and rotate your arms to one side close to your body, pulling your closer skate backwards and pushing your further skate forwards. Spread Eagle is a move where you skate forward with your knees bent, spread your legs and rock back onto your heels, balancing on the back two wheels. To do a Salchow, start by skating backwards, complete a one-leg twist, do a quick jump, and land on your opposite foot. Learn these tricks and you are sure to impress everyone on the floor. 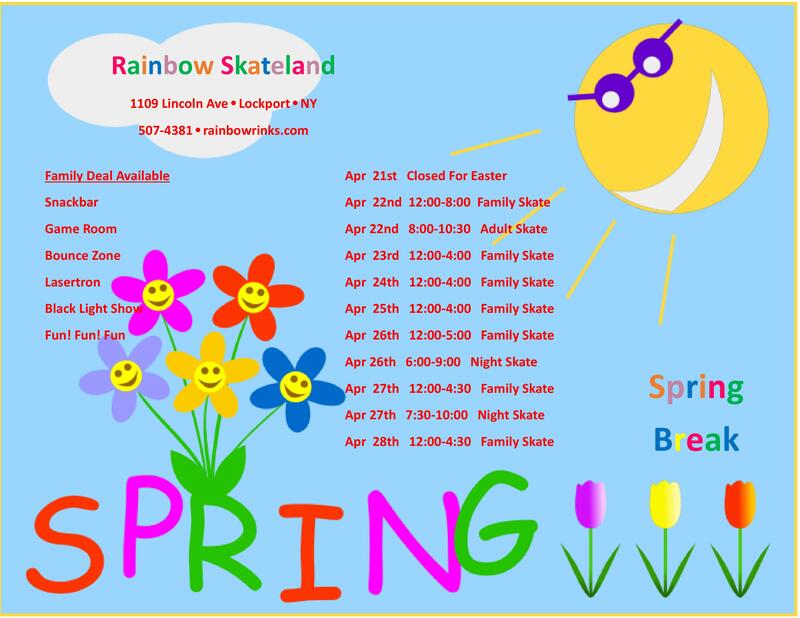 Take a look at our hours so you can come practice your newest moves. Contact us with any questions you may have.